Our Everett-based attorneys enjoy successful experience with major parenting plan modifications, considered one of the most demanding aspects of divorce and family law. We hire only outstanding lawyers and legal graduates, and cost-saving technologies allow us to charge less per hour without sacrificing attorney work quality. We invite you to explore this site to learn more. 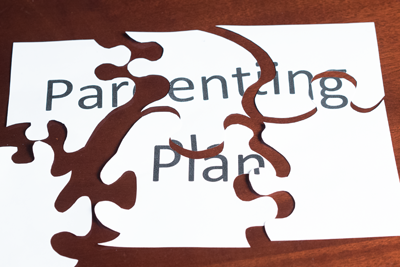 What Is The Difference Between A Major Parenting Plan Modification and Other Types of Parenting Plan Changes? In Washington, RCW 26.09.260 is the primary statute governing parenting plan modifications. The detailed statute creates two subsets of modifications: minor modifications (also called adjustments) and major modifications. As the names imply, minor modifications are less significant, more easily obtainable modifications. Major modifications can change custody and are notoriously difficult to obtain. Why Are Major Modifications So Difficult? Major parenting plan modifications are difficult to obtain for two main reasons. First and foremost, they are custody battles, and parties tend to fight hardest with child custody on the line. Second, major modifications present challenges procedurally because of the law’s preference for stability over change. It takes a stronger argument to change custody than to gain it initially. A criminal court found the custodian (primary care parent) guilty of custodial interference. If the Military Deploys Me, Can That Be A Substantial Enough Change for Me to Lose Custody? No, military duties cannot, in themselves, be reason enough for a major parenting plan modification. Can I Request a Major Modification if I Have Not Completed Court-Ordered Parenting Evaluations or Treatment? Yes, so long as your request qualifies as a major modification rather than a minor modification of the residential provisions of your parenting plan. This is because major modifications tend to be the result of more serious concerns than minor modifications. For example, a major modification might ensue from a primary custodian’s drug relapse, which might be a serious enough concern to outweigh your unfinished evaluation or treatment.